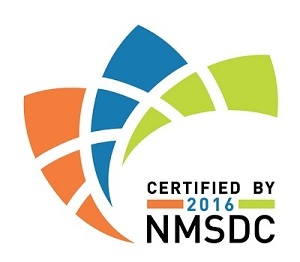 certification - Nam Technologies, Inc.
We attract, retain and develop the best people from a diverse pool of resources. Minority entrepreneurs are the greatest force shaping the U.S. small-business landscape. With the magnified trend of minority-owned businesses, we strive to assist visionary clients to spur positive change and are continuously trying to contribute demographic patterns like interaction, diversity and innovation. As a certified Minority Business, we value the ability of the public to participate in our projects, creating places that encourage social interaction, and our staff’s deep engagement in our communities. We value diversity and it is represented in our employment practices as well as our supplier diversity. Activities such as hiring, training, compensation, promotions and Nam sponsored social and recreational activities are conducted without discrimination based on race, color, genetics, religion, gender, gender identity or expression, sexual orientation, national origin, disability, age or status as a special disabled veteran. At Nam, we are committed to uphold workforce diversity and equity in compensation and opportunity for growth and development.